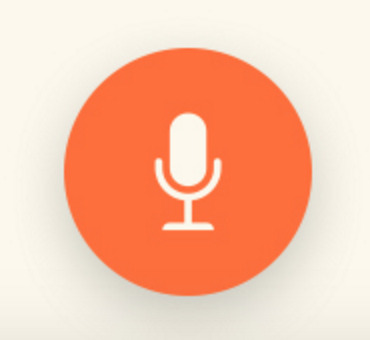 We’ve just released a new feature in the MyHeritage mobile app: Audio Recordings. You can now interview your relatives directly from their profile in the family tree, and store your family’s stories for future generations in your MyHeritage family site. The MyHeritage mobile app is free. It’s available for iPhone, iPad and Android, and it lets you access and enhance your family tree on the go. The Audio Recordings feature is now available in both the iOS and Android versions of the mobile app. Oral interviews are vital in family history research. Our relatives are a treasure trove of precious family information. Unfortunately, our family members don’t stay with us forever, and when they are gone, their memories and stories may be lost. This is where Audio Recordings come in. With this feature, it is now easier than ever to record your family’s unique stories and preserve them for future generations. They are very simple to create and edit, and convenient for both interviewer and interviewee.Using Audio Recordings is simple. Family tree profiles now have an audio icon that looks like earphones that you can tap to create a new recording, and to access recordings previously saved for any person. During a recording, a sound wave will give you visual feedback that the audio is being received successfully. Once the stop button is pressed, the audio file will be saved automatically and uploaded to your family site, where it will be associated with that person’s tree profile. If your smartphone becomes disconnected during upload, it will resume the next time you run the app, exactly from where it left off. You can meanwhile move on and record another interview session while the previous recording is still uploading. Once you see the recording listed, it means the MyHeritage servers have a complete copy and that’s good news, because your recording is now saved for good. The recordings are saved as MPEG 4 audio files (M4A), the successor to mp3 files. Note: the MyHeritage Backup service that covers all family trees on a family site will also back up all your audio recordings. Syncing your online family tree with Family Tree Builder will ensure that the audio recordings are stored in Family Tree Builder as well. What about video? Although you can interview your relatives using video as well, audio is often a better solution. It requires less preparation, takes less storage, and creates less stress for everyone involved. You can just put your smartphone on the table between you and the person you’re interviewing, start recording audio, and conduct a casual conversation. Many people will object to being recorded on video, but almost no one will have an issue with being interviewed in audio. As for duration, we recommend recording sessions of no more than 20-30 minutes each. You can always record several audio interviews, one after the other, and give your interviewee a break between sessions. When your session runs longer, you run a risk of running out of storage and tiring out your interviewee. We recommend that you come prepared with some questions to ask. For example, ask your interviewee to describe their childhood, and tell their most interesting life stories, in their own words. 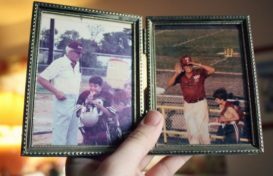 You can jog their memory by showing them old family photos in your family tree, and ask them to tell you about specific ancestors. Be prepared to make up new questions as you go along. You may hear amazing stories you’ve never heard before! For more tips on interviewing, see: 10 tips for interviewing family members. You can use Audio Recordings not only to interview your relatives, but also to record yourself speaking about your relatives; and you can also interview living relatives about their ancestors who are deceased and associate the recording with those ancestors. After a recording is uploaded to your family site, it is easy to use the family site to tag each recording, as if it were a photo, with all the individuals referenced in it, so it will show up in their profile. Don’t risk losing your family’s memories. Download the MyHeritage mobile app and use Audio Recordings as an additional way to preserve your family’s stories. Who can hear these recordings? Is it only the persons who have access to my MyHeritage tree? Or is it everybody who accesses my tree and sees a person profile? Excellent directions here! It was easy to make the recording. Glad to hear that creating recordings was easy. Anyone who has access to your family site and can view profiles, such as site members, will be able to listen to the recordings. If you have made your site open to allow guests to view limited information in your site (Under My Privacy > Access), then they will be able to listen to recordings connected to deceased individuals. Note: guests can never edit any information, and can never view information about living people in your family trees. Exciting feature, very well written up. I am pleased to see this come along and hope I get a lot of use out of it. I’m not sure how I get this app on my phone, though. Can you elaborate? All that you have to do is to download the latest version of our mobile app (available for both iOS and Android) from here: https://www.myheritage.com/mobile. The new version will include the Audio Recording feature as outlined in the post. I already have some recordings made in the 70s. How do I get those ‘up there’? Some I have in Soundcloud. Can I link to those or can I move them to MH? For recordings that already exist, you can upload them directly to your family site. Scroll over the Photos tab and select “Add photos & videos.” A black overlay will appear over the current page. You can drag & drop photos, videos, documents and audio files into the black overlay where it says “Drag photos & videos here.” Alternatively, you can click the blue button “Select files” and choose files from your computer. Sorry, I should have mentioned that I’d like to do this on my Mac via MyHeritage.com. thanks for clarifying how to upload already recorded audio. if I could do it straight from the mobile app. Thanks for this functionality anyway!